"During my time at Davis, I was exposed to issues of social injustice and how public policy could be utilized to improve lives through addressing societal problems." Funke is a Bill Emerson National Hunger Fellow with the Congressional Hunger Center where she has spent the past year tackling issues of poverty and hunger in the United States through local and national policy advocacy. During her time at Davis, Funke developed a strong commitment to social justice and public service through volunteering at the Cross Cultural Center, International House Davis, and the Innovation Institute for Food and Health. In 2016 she received a Blum Poverty Alleviation through Action (PATA) Fellowship to support her project work on clean energy in Kenya. Funke is a 2017 recipient of the Chancellor's Community and Civic Engagement Award as well as the Norma J. Lang Prize for Undergraduate Research. She is an avid lover of dance, food and podcasts. What do you do as an Emerson Hunger Fellow? As an Emerson Hunger Fellow, I have spent the last year working on issues of hunger and poverty in the US through work placements with local community-based and national policy-based organizations. In this role, I have tackled issues of disinvestment and healthy food access disparities in Washington, DC as well as studied the links between federal housing policy and the racial wealth gap to empower constituents around the country to raise the challenge of ending poverty as a national priority with their elected representatives. Additionally, I have received training on the legislative process and on applying a social justice lens to anti-poverty and anti-hunger work. One of the highlights of my time as a Fellow was the opportunity to deliver a briefing on Capitol Hill about my work at DC Greens and local food policy activism to partners and anti-hunger advocates. During my time at Davis, I was exposed to issues of social injustice and how public policy could be utilized to improve lives through addressing societal problems. As my majors were interdisciplinary, I took courses not only in economics but also history, sociology, Africana studies and political philosophy to name a few. These courses helped me identify connections across different contexts and gave me a clearer picture of how complex the world really is and the many frameworks that exist to make sense of what is happening around us. These frameworks more than any problem set or essay are what I have held on to post college and have used to analyze social and public policy challenges from different perspectives in my work. Additionally, the non-academic experiences such as internships I did were also instrumental in equipping me with skills and a basic understanding of workplace culture that have enabled me to succeed in my work placements. 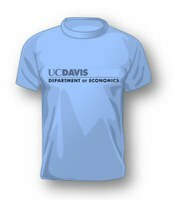 Are there any classes or activities from Davis you found particularly helpful? Some of my favorite courses at UC Davis include US Economic History, World History, Intro to Political Philosophy and foreign language classes. I also enjoyed the opportunity to take at class at D-Lab which brings students from diverse majors together to work on real life projects in teams. Lastly, through the Blum Center on campus, I had a wonderful opportunity to spend a month in Kenya working with a clean energy social enterprise. My advice to students would be to sign up for the many newsletters that exist on campus and actually go through them. I know it's time consuming but it's a great way to learn about unique opportunities on campus that can really make your experience at Davis. At the same time, I would encourage students to be strategic and intentional with their time and efforts. In college I struggled with FOMO (fear of missing out) a lot and as a result I often found myself overwhelmed by all the commitments I'd made. It's important to prioritize what's most important to you as soon as possible and then look for experiences/opportunities not just to fill your resume with as many things as possible but with activities that will actually enrich you and enable you with skills and knowledge to make a meaningful contribution. Basically, go with quality over quantity.